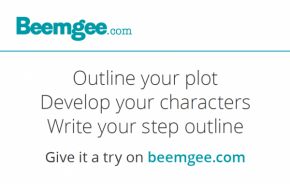 Send us an e-mail including the link to your project and your name to: story@beemgee.com. Alternatively, send the e-mail directly out of the web-app using the share function. First come, first served: The first 5 entries that match the criteria will receive a coaching session at the Leipzig Book Fair. We will pick the winners of the next 3 slots based on our own preferences! The sessions will take place on 24.03.2017 (Friday) in the afternoon and on 25.03.2017 (Saturday) in the morning. We will contact the winners to arrange the appointments. The winners must be attending the Leipzig Book Fair – the prize does not include fair tickets or travel expenses. The sessions are being held by Beemgee and Schreibhain in English or German. 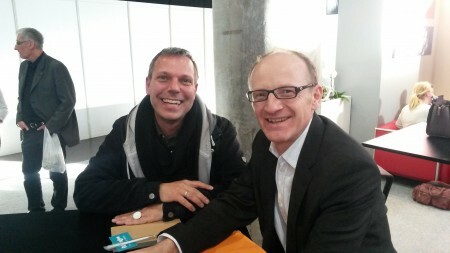 Author Ingo Hampe, one of the coaching session winners, with coach Olaf Bryan Wielk, one of the Beemgee founders.